New research suggests that cannabis consumers can donate lungs, and that carefully chosen donor lungs work just as well as “healthy” lungs. A study published last month in the European Journal of Cardio-Thoracic Surgery suggests that cannabis use should not disqualify patients from donating lungs. While transplanting a lung from a cannabis smoker into an otherwise dying patient is risky, new research suggests that cannabis consumers can donate lungs, and that carefully chosen donor lungs work just as well as “healthy” lungs. The lungs of cannabis consumers hold up after transplant, the new study finds. Researchers tested 302 patients who received lung transplants. They then tracked their progress over the course of six years. 19 participants in total had received the lungs of cannabis consumers. According to the study authors, there was no difference in the lungs of cannabis-exposed donors and those classified as healthy. The history of donor cannabis smoking does not appear to affect early and mid-term outcomes after [lung transplant] and potentially improve the donor pool. This is exciting news, as more lung donors are certainly needed. In 2015, the National Health Service in the United Kingdom (where the study took place) announced that the country is having a donor shortage. At the time, it took a patient a total of 233 days to be matched with an appropriate donor. There just aren’t enough donors that match the needed health criteria. Of the patients waiting for a lung donor between 2005 and 2015, nearly a quarter died before receiving their transplant. To address this issue, the NHS in the UK has considered looking into alternate donors, who provide more high-risk organs to patients who are in extreme need. As the new study suggests, perhaps cannabis consumers should be reconsidered as donors. To receive a transplant, patients must be expected to live five years or longer post-operation. To be eligible for the transplant, patients must have a serious and debilitating lung condition, including emphysema/COPD, pulmonary hypertension, cystic fibrosis, and more. However, Americans on the waiting list for a lung transplant must wait an average of four months before surgery. Without the lung transplant, patients risk disease progression and death. According to the United Network For Organ Sharing (UNOS), a non-profit organization that connects donors with those in need, 22 patients die every day while waiting for a transplant. Sadly to say, finding donors that meet all of these parameters is quite challenging. Currently, 1,386 patients make up the lung transplant waiting list in the United States. All of the cannabis consumers in this study also consumed tobacco. In contrast, 43% of the “healthy” controls (approx. 121 people) used the plant. Throughout Europe, mixing cannabis and tobacco is much more common. In North America, it is more common to smoke cannabis alone. While there has yet to be a confirmed link between cannabis consumption and lung cancer, the connection to tobacco is clear. Tobacco is responsible for 80 to 90% of lung cancer deaths in the United States. Many patients receiving lung transplants have smoking-related conditions, like emphysema and COPD. Why, then, would patients want a donor lung that has been exposed to the same types of harms? To see a true test of cannabis in lung transplants, medical professionals would need to find donors that have abstained from smoking anything other than cannabis. Unfortunately, that means blunts and spliffs should stay out of the picture. Patients receiving organ transplants must go through a vigorous selection process before being put on a waiting list. Patients can be disqualified for smoking and drug abuse, including cannabis consumption. Disqualifications for continued smoking and drug abuse is smart, certain drugs and habits can compromise the success of the overall procedure. 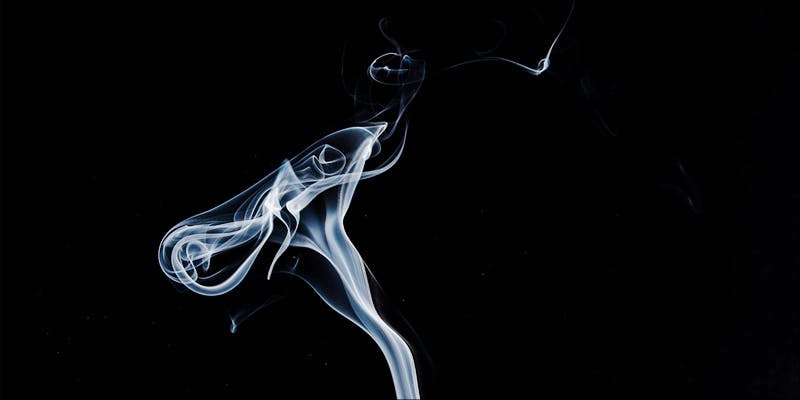 However, the recent study suggests that perhaps cannabis smoking does not compromise the viability of lungs transplanted, should the lung in question meet all of the selection criteria. Interestingly, another recent study found that THC has potential to improve the rate of some types of organ transplants. The 2013 study looked at rodent skin cells cultivated outside of the body. The research found that treatment with THC reduces the immune response that occurs during graft (skin transplant) rejection. While human research is sorely needed, this finding provides further evidence that, in terms of cannabis and transplants, there is more potential value than meets the eye. Earlier this year, an American teacher and Vietnam veteran Deb Staires wrote about her liver transplant process on the medical cannabis activism site, Illegally Healed. After being diagnosed with Hepatitis C, Staires needed a transplant after developing a 1.3-centimeter long tumor on her liver. He said well, you are going to have to stop using illegal drugs. I laughed and told him I wasn’t, that I had a medical marijuana card. He said well, we are going to need a copy of that card and you will have to stop to actually get a liver. While no conclusive claims can be made about the safety of cannabis use near the time of transplant, the above studies suggest that medical researchers should evaluate whether or not cannabis patients should be excluded from transplant lists. Not only do the lungs of former cannabis consumers seemingly hold up after transplant, but, if preclinical evidence is any suggestion, cannabis may improve the transplant procedure overall. If you are interested in becoming an organ donor, visit OrganDonor.gov to access your state’s registry if you life in the United States. Those in the United Kingdom can visit OrganDonation.nhs.uk.